As a division of the Ohio Department of Job & Family Services, as well as Ohio’s sole, dedicated state public funding source for child abuse and neglect prevention, the Ohio Children’s Trust Fund (OCTF) is at the forefront of child abuse and neglect prevention activities throughout the state. In a recent review of literature, it was suggested that children were at greater risk for abuse and neglect when coming from families that deal with considerable amounts of stress from issues such as poverty, substance abuse, and chronic health problems. Unfortunately, recent research indicated that in Southwest Ohio families had higher levels of risk around these areas of stress, putting children at greater risk for abuse and neglect. To address this issue, OCTF formed the Southwest Ohio Regional Prevention Council, a regional governing body consisting of health professionals, social workers and childcare experts to help carry out the mission of improving the well-being of children in the region. As part of the council’s initiative, they partnered with Origo to create and implement a universal prevention awareness campaign that would bring together multiple stakeholder groups who can help advocate a branded message that all people have both the obligation and the privilege to protect children from harm. 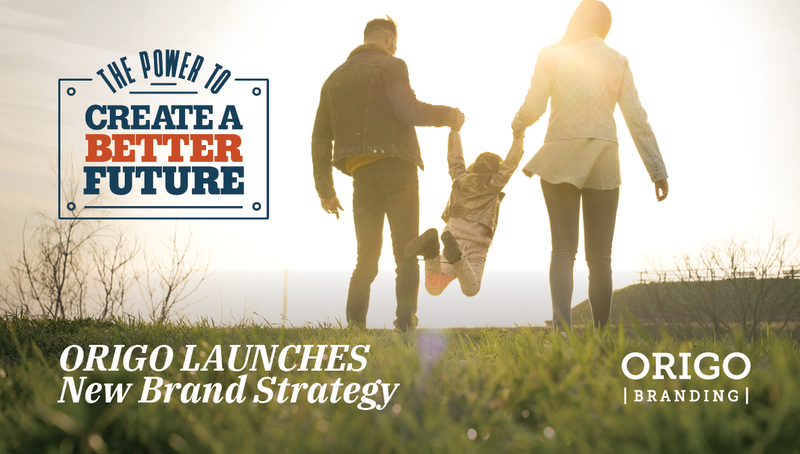 Using insights gained from the research phase, Origo developed a campaign called The Power to Create a Better Future. Featuring themes of Responsibility, Empowerment, Optimism, Resilience and Prevention – the campaign delivered the message that we can all help create a better future for children by being positive role models. 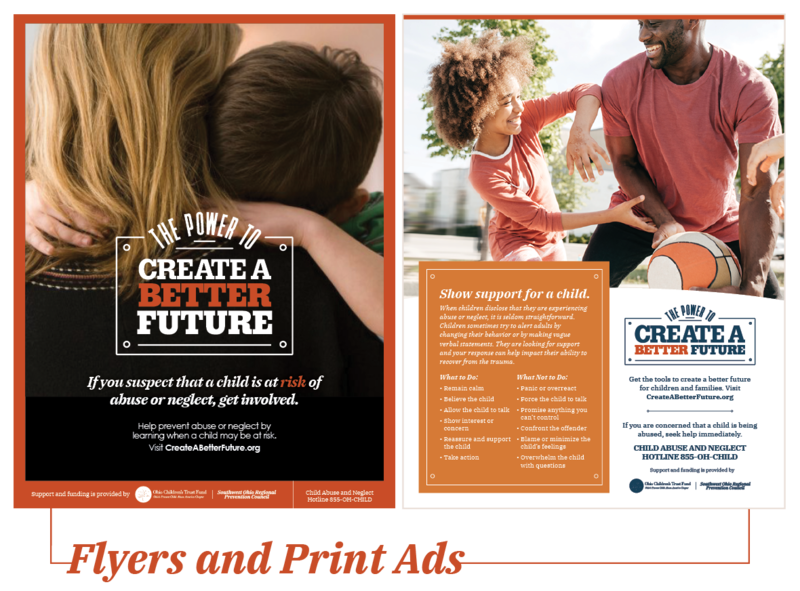 The campaign offered encouraging words for parents experiencing high levels of stress, and it invited community influencers to take an active role in helping families create a positive lifestyle for children at risk. 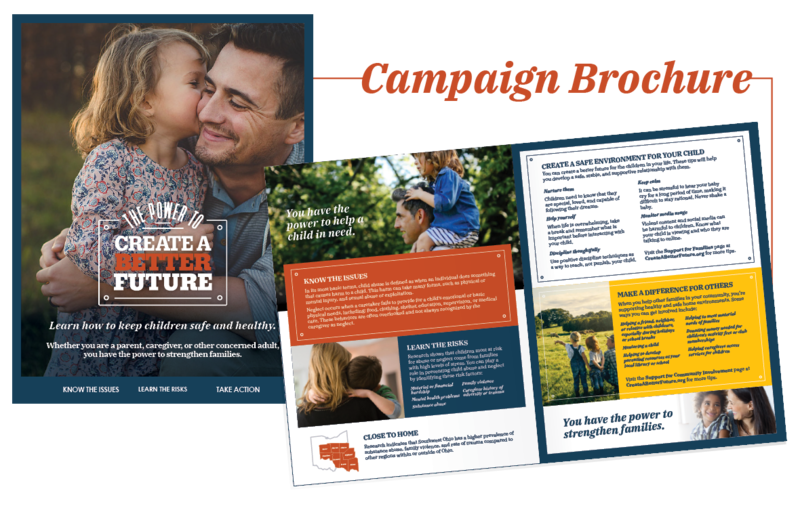 A Community Toolkit consisting of Brochures, Flyers, Print Ads and Videos to help generate awareness and provide resources. Origo created a 6-month media strategy (launched in October, 2018), placing media through digital channels to help create outreach for our message. 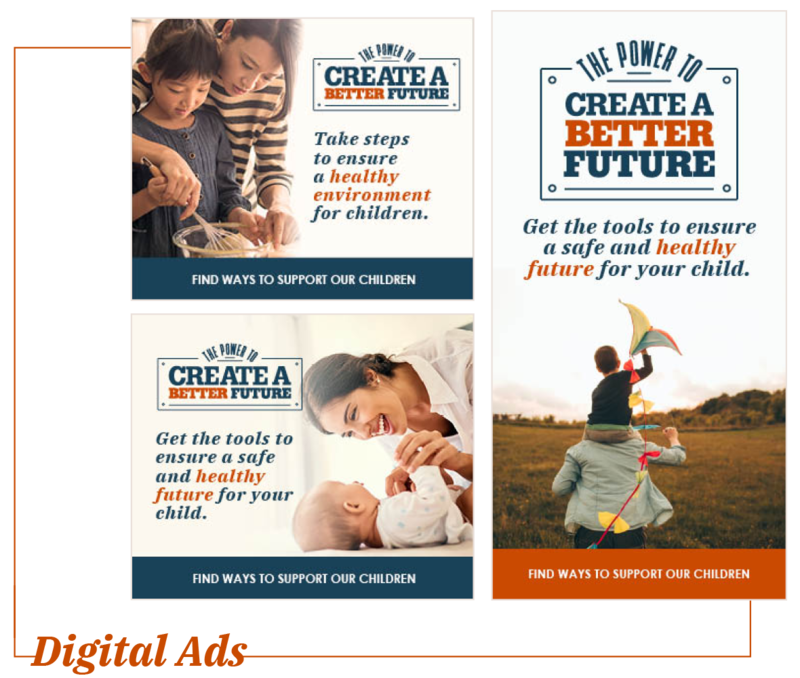 Tactics included Digital Display Ads, Social Media Posts and Paid Google Search to give the campaign a strong online presence. 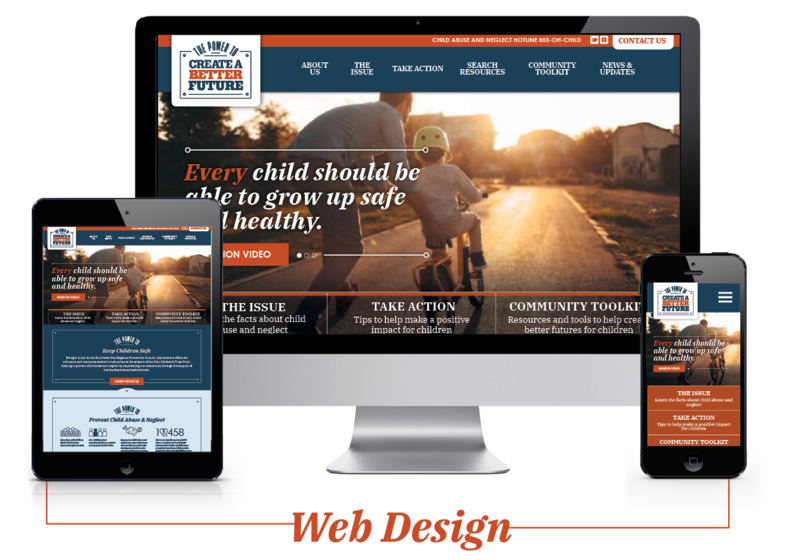 A new Website Strategy to connect audiences with information and resources for abuse and neglect prevention. As a purpose-driven marketing agency, we take great pride in creating impactful strategies for organizations that serve the greater good. We look forward to supporting the continued impact that The Southwest Ohio Regional Prevention Council will have on communities for years to come.